It’s well known that Kurt Busch is a massive Chicago Cubs fan. Despite growing up in Las Vegas, he caught many Chicago Cubs games on WGN-TV in the 1980s and 1990s. He has connections to Chicago as his parents were born in the metro area and his grandfather lived in downtown Chicago. And his grandfather was a huge Cubs fan. In 1984, when Busch was just 6 years old, the late Steve Goodman wrote the famous song, “Go Cubs Go,” which is played at Wrigley Field after Cubs victories. Busch is hoping he can play “Go Kurt Go,” as he hopes to win his first-ever Monster Energy NASCAR Cup Series race at Chicagoland Speedway in Joliet, Illinois. He has two top-five finishes and nine top-10s in 17 races at the 1.5-mile oval just southwest of Chicago, but he’s yet to find victory lane. Busch’s best finish at Chicagoland came in 2015, when he came home third. He overcame a flat tire on lap 86 and a green-flag pit stop that put him a lap down to still contend for the win. 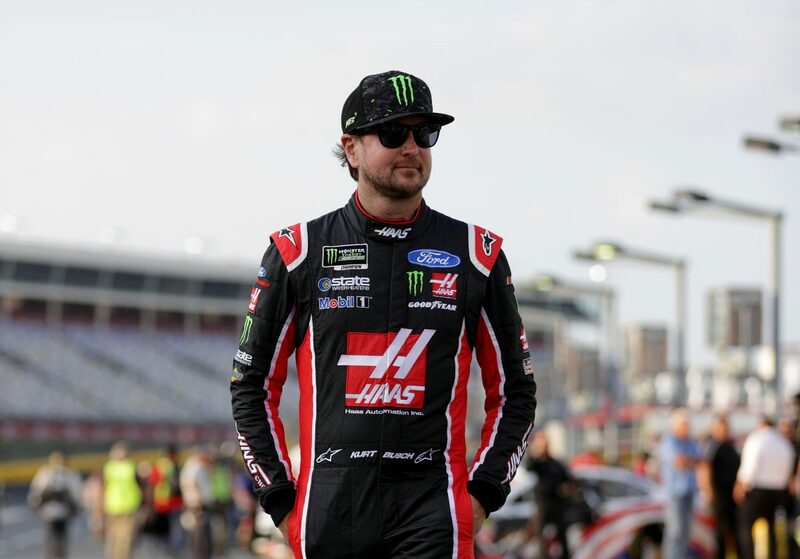 However, a late-race caution took away what appeared to be a sure win and an automatic advance into the next round of the playoffs for Busch and the No. 41 team. The prospects for a career-best Chicagoland finish this weekend for Busch, driver of the No. 41 Haas Automation Ford Fusion for Stewart-Haas Racing (SHR), look good as he’s been fast on 1.5-mile ovals this season. His average starting positon on the intermediate tracks has been 7.0, including a pole at Texas Motor Speedway in Fort Worth. He’s qualified in the top-eight in four of five races at 1.5-mile ovals. Busch has also finished in the top-eight in four of the five races at 1.5-mile ovals. While he may not be singing “Take Me Out to the Ballgame” on lap 200 of Sunday’s 267-lap race, Busch is hoping that, in the words of the late Cubs broadcasters Harry Carey and Jack Brickhouse, he hears either “Busch Wins!” or “Hey Hey!” once the checkered flag falls. What have your previous races at Chicago been like for you?